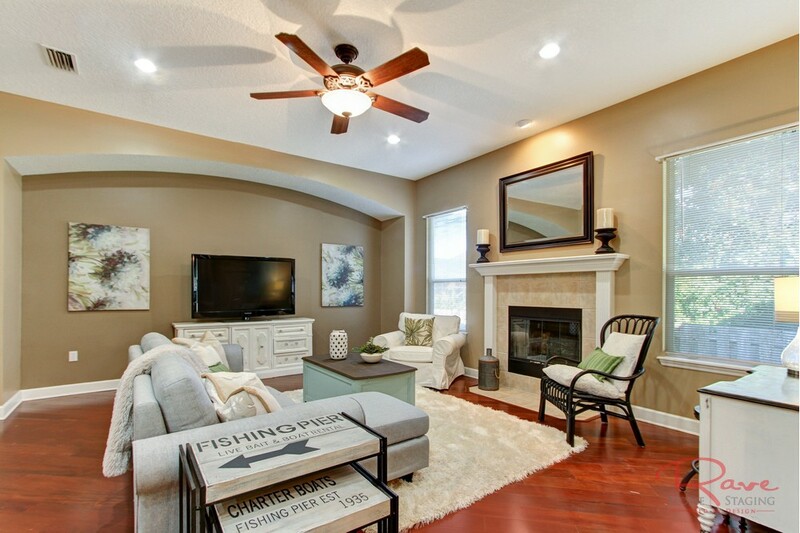 Before and after photos of home staging projects are always fun to look at. For me, owner of Rave Home Staging in Jacksonville, FL, the best part of the job is knowing that we made a difference in the lives of the family that hired us. While most of our customers are real estate investors (flippers) and new home builders, we often deal with “real live homeowners” who simply need to get out from a second mortgage payment. That was the case for this particular seller. They were a nice, average family who needed to move and weren’t able to sell their house before they left. The house was sitting on the market and they were now stuck paying two mortgage payments. The house that they moved out of was in good condition, and more or less move-in-ready. The neighborhood was a community with lots of amenities and properties were selling there. So, why had their sat on the market for 200 days? The home buying process starts online. The first thing that homeowners, thinking of selling their home, need to know and understand is that the buying process starts online. I’m sure before there is even a for sale sign in their front yard that most of them have already started looking at homes, online, at their new destination. Nearly 44% of potential home buyers started looking online as their first action, according to The National Association of Realtors. This means that photos and the way the home is presented digitally has become more important than ever. Let’s take a look at a couple of photos that were listed with the home when it hit the market on 08/15/15. The important thing about these particular rooms, is that they are the first part of the home that potential buyers see when they actually tour the house. From a size comparison, does one home look larger than the other? Does it feel brighter and more in line with today’s home furnishing trends? Do both of these homes look like they are the same value? Let’s compare a few others…. What stands out to you in this space? Which space is more likely to appeal to potential home buyers today? Now, imagine this room completely empty. That’s what potential buyers would see, when they came to view the property in person, as it had already been moved out of. 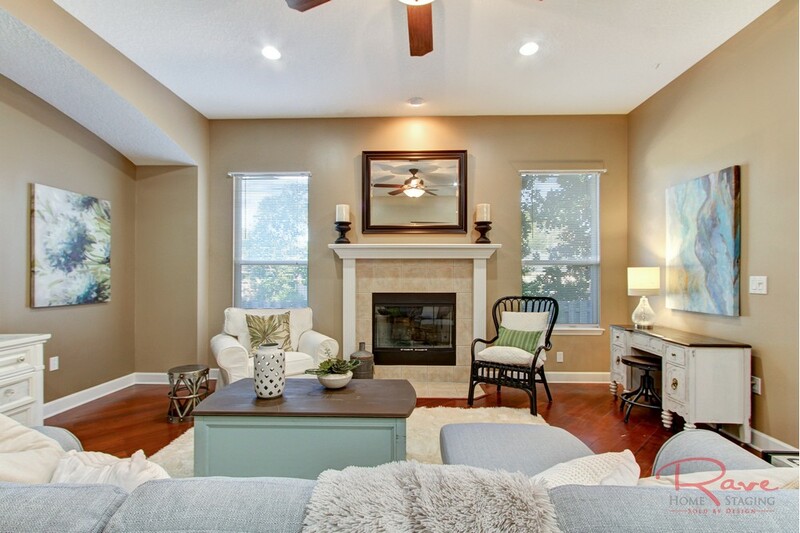 In this case, there was a mirror left on the mantle, but it’s not difficult to see why some buyers would have a difficult time imagining how to use the room to it’s best advantage. 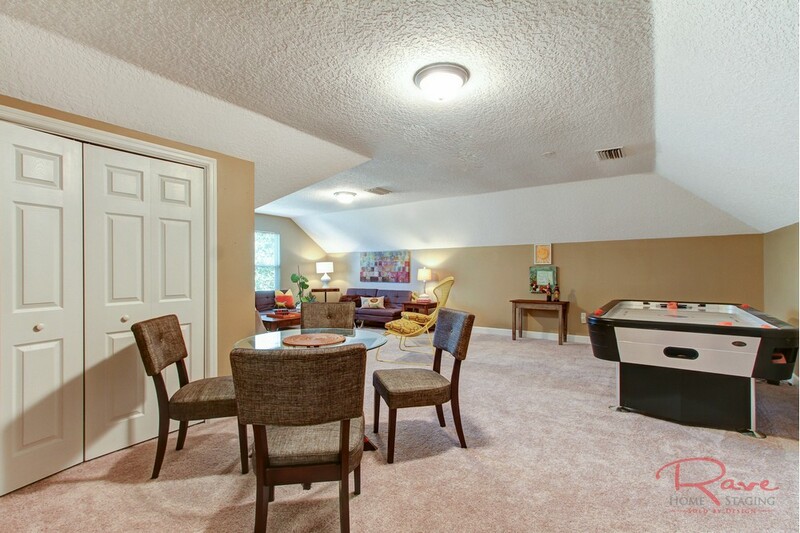 Finally, let’s compare the large bonus room at the top of the stairs. 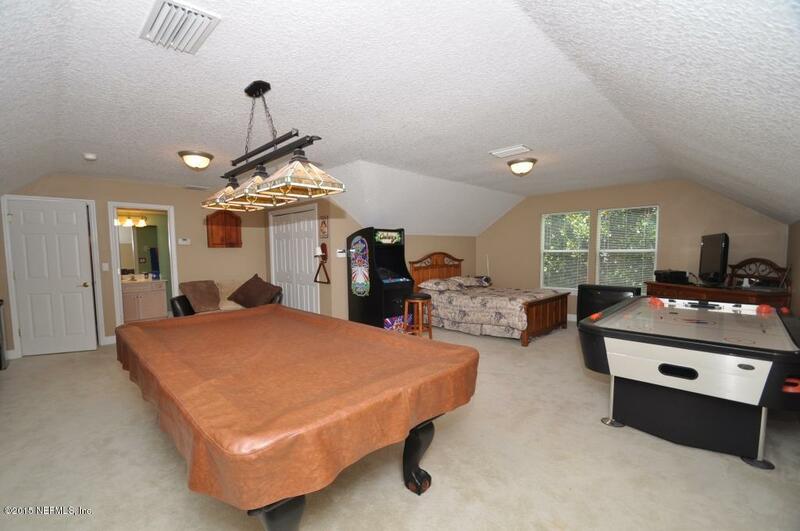 Since this room had a closet, it could have been listed as an additional bedroom. Emotionally, do these rooms “feel” different? What does that feeling convey? 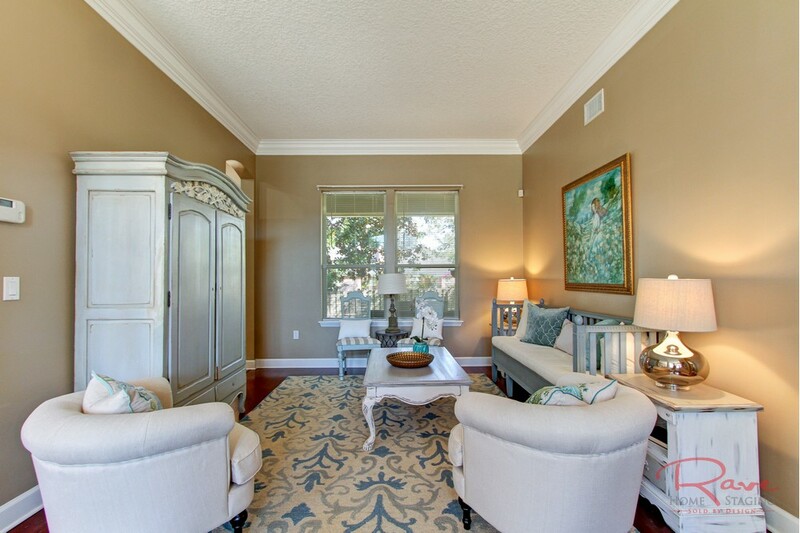 What about the rooms after staging made the space more appealing to potential home buyers? Hiring the right listing agent when selling your home. 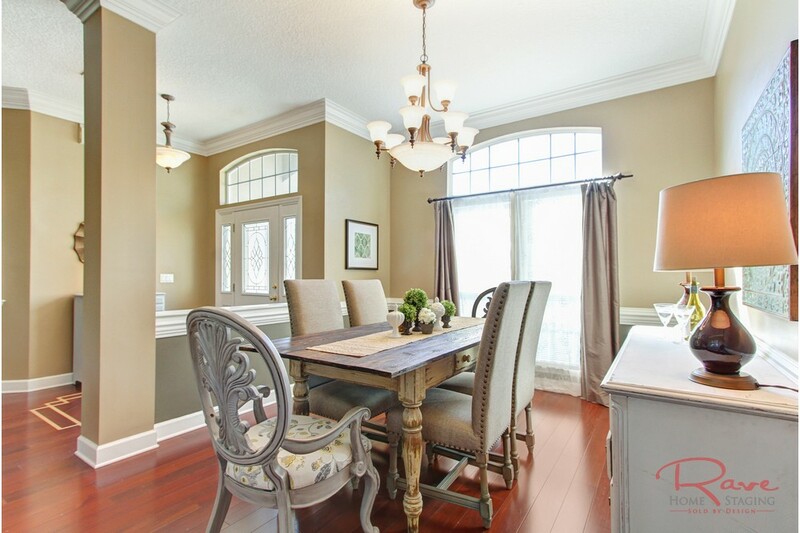 Speaking with the homeowner prior to staging, she noted that the Realtor she had hired was a family friend. She actually felt a little guilty knowing that she was going to need to call him and tell him that she was ending her agreement with him when the listing expired and going to hire a different agent. Interviewing several Realtors for the new agreement, was actually why she called us. 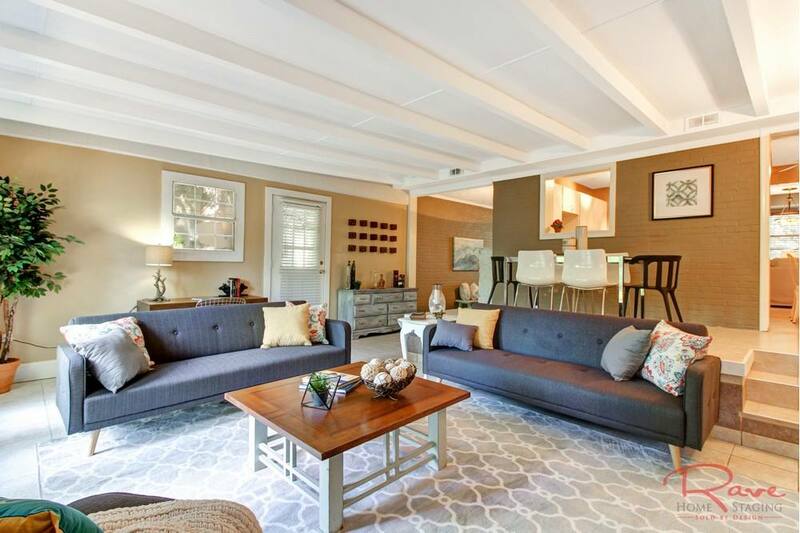 A Realtor who knows us well, as we stage many of her listings, a Realtor who had attended our classes, including our 3-hr CE Class, and understood that staging would be her solution. 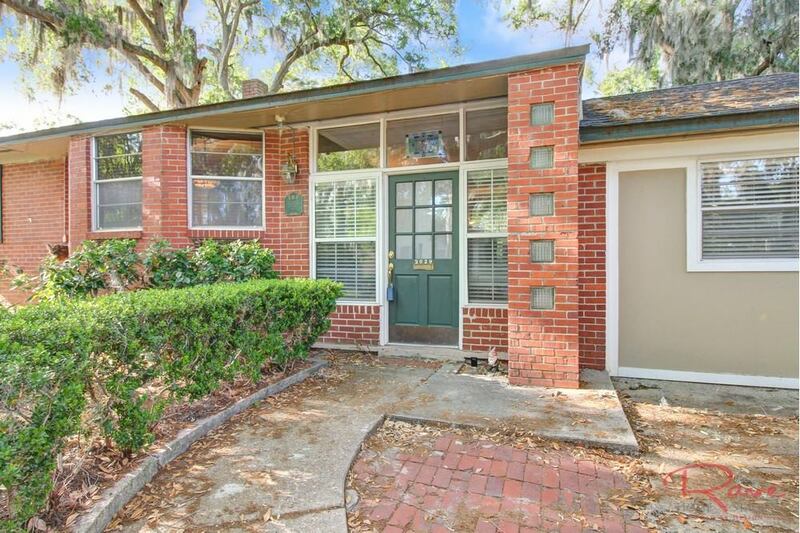 Cindy Jones, with Florida Homes Realty & Mortgage of Jacksonville, was hired as the new listing agent as the home owners understood that selling this home would take more than just putting it on MLS. 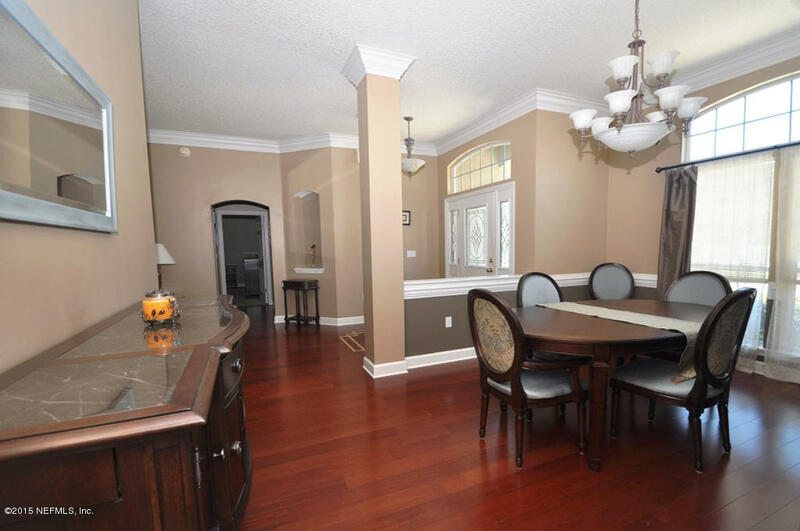 It would take a marketing plan, and that plan would include staging. 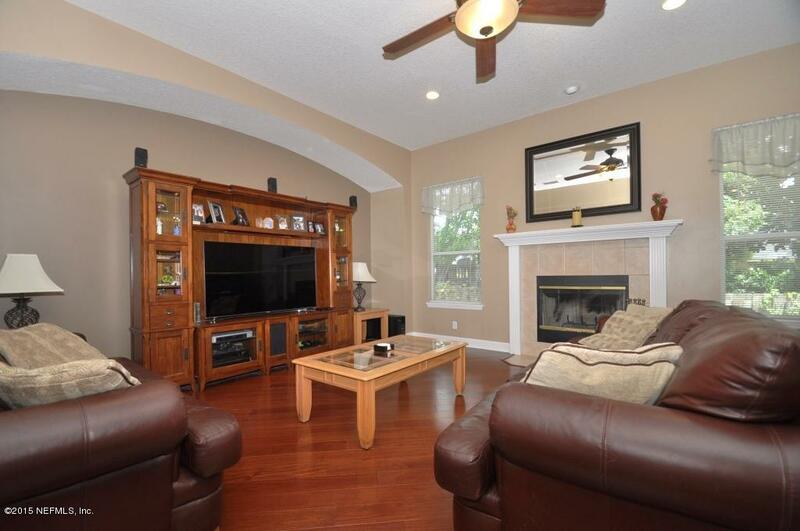 Interested in getting your listings, or your home staged? Contact us today! What do I do with that? Helping buyers understand your home. 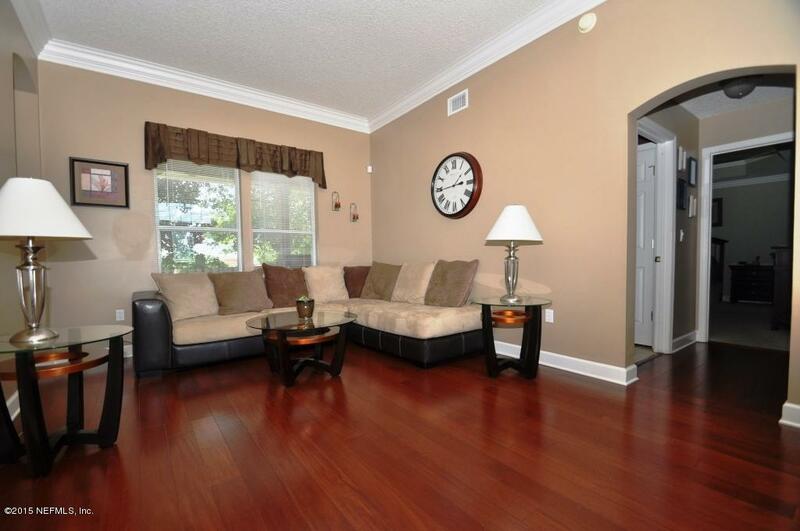 I love my home staging career. Every home is unique, so every day is different. I get to adapt and determine how to best showcase features and benefits, while minimizing negatives. What happens when you can’t decide if an architectural element is a feature or a flaw though? 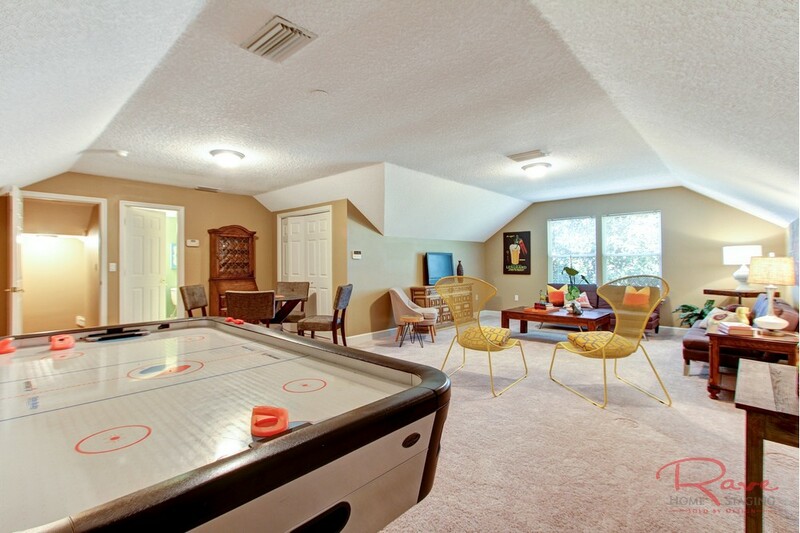 It is hard to make a real estate sale when buyers just can’t determine what do to with major focal points of a home. 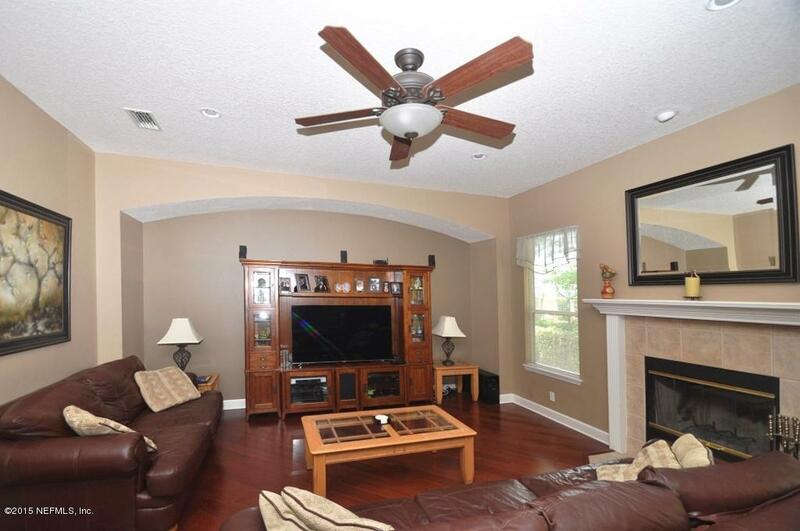 When viewing this San Marco home online, prior to our actual planning visit, I got really excited. 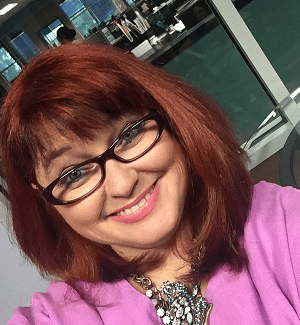 I knew that I would have to really think outside of the box and come up with a plan that would not only make sense to a potential buyer, but also take a potentially negative aspect and turn it into a great feature. 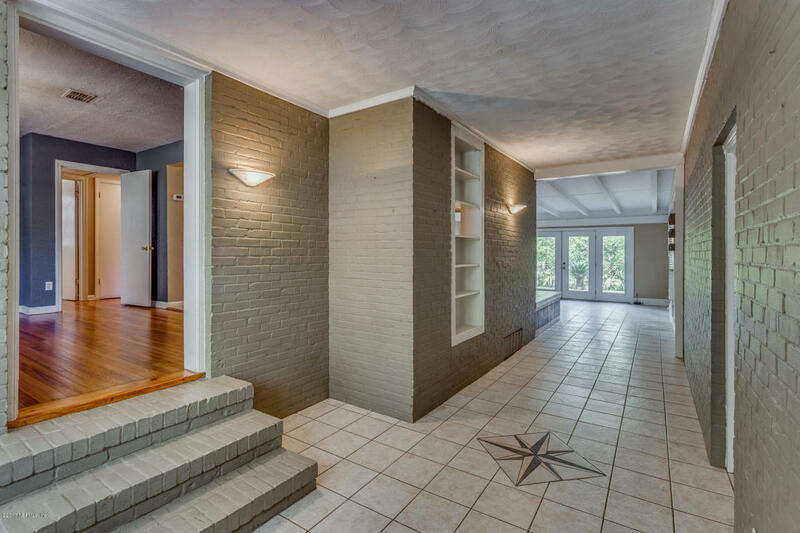 I’m pretty sure this four bedroom, two bath home started off life as a two bedroom, one bath bungalow. The photo in this first shot (above) is when you immediately walk into the home. This long corridor is a major point of the layout and architecture. 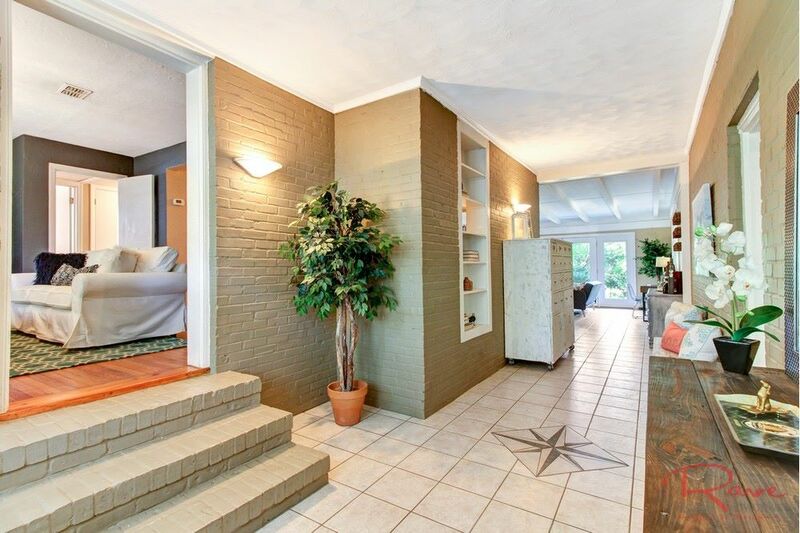 Because it was formerly the exterior of the home, nearly all of the walls are either brick or cinder block. The primary living spaces, including the family room, dining room, and master suite are at the end of this walk. THIS. This is the main entertaining and living space of the home. For most people, in the current form, this area is awkward and hard to look beyond. I mean, what do you do with it? The home doesn’t feel easily understood. Thus far buyers haven’t had that instant, “Gotta have it!” instinct. When buyers don’t know how it works, they don’t buy it. Home staging is at its most fun in these moments, at least for me. This is not a generic beige box. This is not a luxury home that is already beautiful where we are just creating lifestyle and flow. This is actually turning an off-putting quirk into a fun retro vibe. 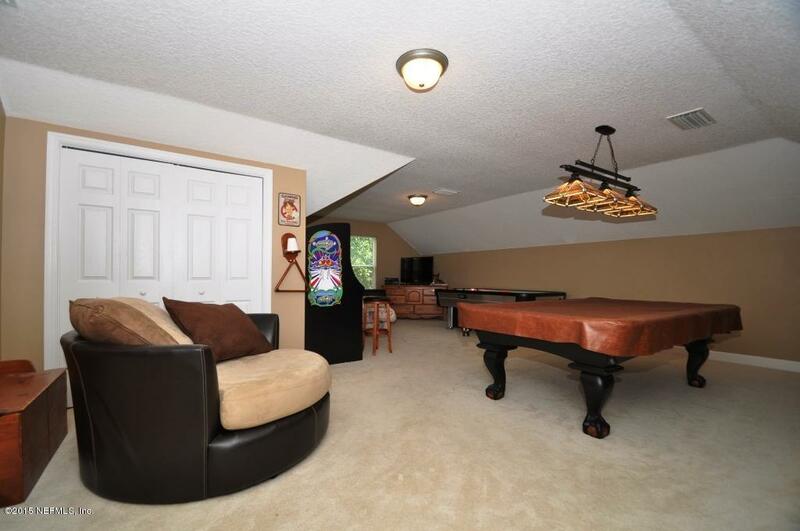 Since this home is located in an artistic part of town, I expect it to pay off big-time. The first step, to making sense of this massively reconstructed home, had to be turning this long corridor into something more interesting than simply a hallway. 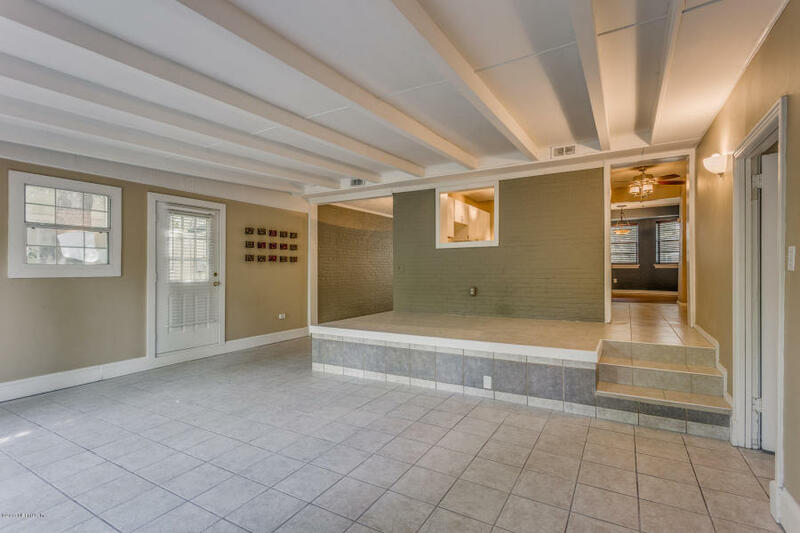 By adding an entry table, large furniture storage, bench seating, a bar, and more, we created opportunities to break up the walkway into smaller, more typical, functional spaces. Each area was carefully crafted to become casual, modern options for every day living. The stage was down-played while completely up-styled. Warmth was brought into the contemporary room, making it feel more like a living room and less like an over sized sunroom. Rooms that previously may have left potential home buyers scratching their heads wondering how they would live in the home, now can imagine an entertaining or family-oriented lifestyle. Crazy additions of seemingly unusable connecting spaces are now perfect for injecting a sense of personality and artistic style. Want to see more of this home? Visit our Facebook business page.